Not sure what BeBopUSA Pet Product will work best for your furry friend? Behavior plays a big role on what type of Pet Product is best for your dog based on it’s functional use. 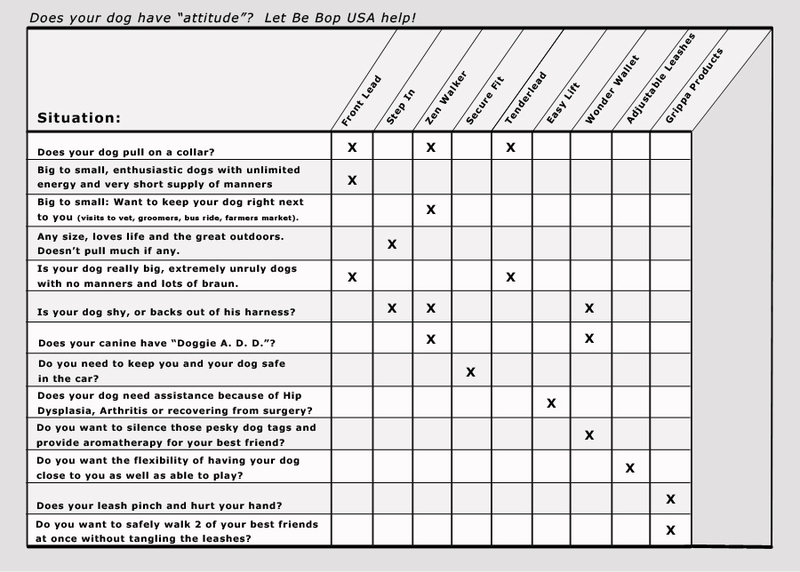 Here is a “Behavior Chart” that will help you find exactly what you need to help improve those pet behaviors you want to avoid.